There is nearly no science fiction film without super-intelligent robots or computers with a humanlike personality or artificial intelligence. Today, it seems that science fiction will become reality – but what is the truth about artificial intelligence and what are but legends and myths? We had the chance to attend a presentation held on this topic by Mrs. Dana Eleftheriadou, Head of Advanced Technologies Team at the European Commission. General information – what is artificial intelligence? It is important to know that there are diverse types of robots and programs that are considered « intelligent » but artificial intelligence can be defined as machines with the ability to sense and understand their environment and learn, make decisions and act. This technology is relatively new, but it is already being used in some fields of everyday life and industry, such as healthcare, transport and agriculture. In the future, artificial intelligence could become even more important in our lives. « AI holds great potential to deeply transform the structure of our society and economy » says Mrs. Eleftheriadou. Are computers going to be more intelligent than us? Could robots feel love, or are they going to take over the world? Is artificial intelligence dangerous? Many similar questions can be asked when it comes to this topic, as we all have a picture of evil robots or rebellious computers presented to us in popular sci-fi films and novels in mind. However, it is unlikely that we will make human-like robots, or, if we do, it will only happen in the distant future. 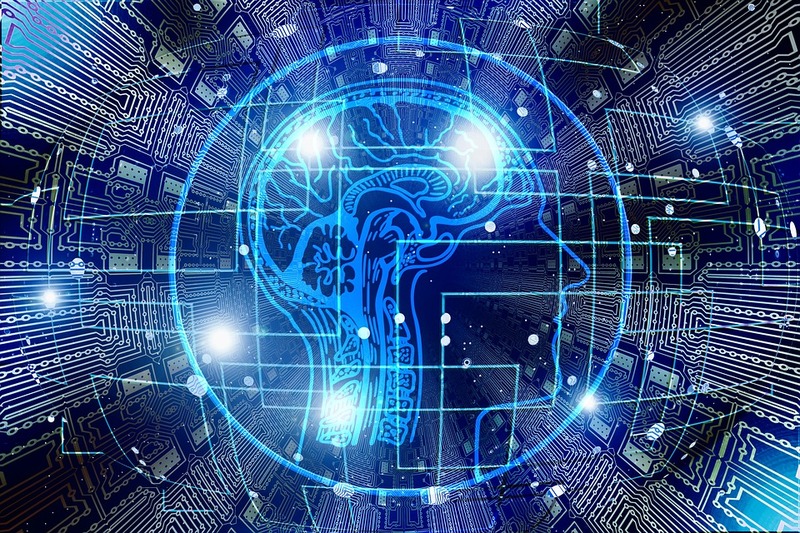 Artificial intelligence is very different from the human mind: it has the capacity to store much more data than a human and is better at calculations, but is specialised in a very narrow field. For example, robots are used in healthcare, like the Da Vinci Surgical System; robot nurses and some other robots are better at recognising early signs of some diseases than human doctors. Another field where artificial intelligence is already used is agriculture, by using machines that can work without drivers. However, there are some valid concerns. If artificial intelligence will be able to do more tasks, robot labour might be cheaper than paying human workers, so unemployment rates might rise. Mrs. Eleftheriadou sees no risk, as some jobs may disappear, new ones will be created and all jobs will probably transform. Another possible issue is the lack of resources for developing artificial intelligence. According to Mrs. Eleftheriadou, they did not consider this, as this does not seem to be a problem. In her opinion, the lack of people with the necessary skills is more likely to be an issue. Some people worry that robots with artificial intelligence might get out of hand. It is planned that in the future, artificial intelligence should be able to rewrite its own algorithm in order to develop and learn, but this can lead to issues in controlling the robots. The Commission sees three areas where changes are required to support the development of artificial intelligence. Firstly, the European Commission increases its annual investments by 70%, in order to connect and encourage individual researches, and spread the use of artificial intelligence. Secondly, it will support related education and training of professionals. Finally, the Commission foresees legal and ethical questions linked to this new technology and plans to address the problem by setting the Artificial intelligence ethics guidelines and a Guidance on the interpretation of the Product Liability directive in 2019. The Member States of the European Union signed a Declaration of cooperation on Artificial Intelligence, assuring a close collaboration on this topic. By working together, we can hope to resolve all problems related to artificial intelligence and share its benefits with all. ← EU Laws and Politics: Why are they beneficial?